If you are an experienced PC user, you definitely know what firewall is, but if not, this article will tell you exactly that! A firewall refers to a security system put in place to protect your computer when it connects to the internet or any other local or wide area network. The most basic function of the firewall is to protect a computer from network attacks from any unauthorized software, malware, virus, hackers and more that can invade your computer. The word firewall is derived from the physical term firewall, which uses a wall to stop fire from spreading. Every Windows operating system is equipped with a firewall. You can access your firewall from the Control Panel. Firewalls come in the form of either hardware components, software or a combination of both. Most Wi-Fi routers come equipped with firewalls that are not only used for the internet but the network it creates when it connects with two or more computers. A firewall basically acts as a filter. It filters information coming in through your home or office network. If any data is suspicious, it is flagged and not allowed to enter the network. Before moving deeper into the topic of firewalls, let us understand how information travels through the internet. When you send an email, the message does not transfer as a whole, but is broken up into parts called packets. These packets don’t follow the same path through the internet, but travel through different paths. This is the reason why the internet is so fast. Once all the packets reach their destination, the firewall filters information and the computer reassembles it. This examples holds through for any data on the internet, be it web pages, pictures or any other information. In a company with many employees, all computers are connected by a network that is connected to the internet. All these computers are interconnected and through the internet, a person can hack into a single computer and potentially steal information from the all the employees’ computers. This is a dangerous security hole. However, if a firewall is installed, the situation changes. Every computer has their personal protection and the network itself has a solid wall to prevent against any infiltration. The company now has great control over their employee’s internet access. The firewall can be set to dictate to the employees which websites they can access, which files they can download, who has access to their own servers and such. The company can grant or restrict file transfer protocol to which ever computer they desire. Packet filter: This is the most widely used form of firewall. Packets that arrive at their destinations are analyzed through computers filters. Packets that are flagged are not allowed into the computer. Packets that pass through the filter are sent to the requesting system, while all the rest are discarded. Proxy server: The proxy server is a more powerful method of firewall. A firewall proxy server acts an intermediary or a middleman between systems. It hides behind a layer of firewall and sits in between a client and the destination. If you have worked in a large corporation, you would have noticed that access to some website have been restricted. Corporates have been able to block these websites on your computer using a proxy server. Stateful Inspection: This is the latest form of firewall also known as dynamic packet filtering. This kind of firewall will monitors both incoming and outgoing packets over a period of time. During a particular session, stateful inspection will read the attributes of each of these packets. These attributes are known as ‘state’ of the connection. It may include details such as IP address, ports involved in the connection and the sequence numbers of packets being transferred. Outgoing packets that request for specific types of incoming packets are tracked, while only those incoming packets constituting a proper response are allowed through. Because stateful inspection does not examine the contents of each packet, but instead compares only certain key parts of the packet to a data base of trusted information, stateful inspection is able to combine the speed of packet filters with enhanced security. Though a firewall has many options, the Windows firewall gives you only basic options. However, it does contain the above three forms of firewall. 3. You will find a “Windows Firewall” section. Click on it. 4. The Windows Firewall window will open. You will be informed of what networks you are connected to and if you are protected. 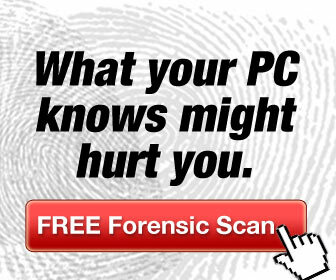 You will find out if your Firewall is on or off. If it is off, turn it on. 5. On the left hand panel click on ‘Change Notification Settings’. Another window will open, giving more options to change your Firewall settings. 6. Here you can decide to block all incoming connections if you like. 7. Once you have made your selections, click on ‘Ok’. 8. You will come back to your Windows Firewall window. On the left hand side, you can click on the option ‘Allow program or feature through Windows Firewall’. 9. A list of all the programs installed on your computer will be presented. Check the ones which you want to be added as an exception. Click on ‘Ok’ when you are done to go back to the main window. 10. On the left hand side panel, go ahead and click on ‘Advance Settings’. 11. Windows Firewall with Advanced Security window will open. On the left hand side column, click on ‘Inbound Rules’. A list of rules will be displayed. Click on any one of them, and on the right hand side, on the Actions panel, a list of action will appear. You can customize the inbound rule based on your needs. For this, you will need to do a little bit of research to figure out how to tweak a rule. 12. Below ‘Inbound Rules’ is ‘Outbound Rules’, where you can do the same thing. 13. On the right hand side panel, click on ‘Monitoring’. Under this you can be aware of Active Networks, Firewall State, General Settings and Logging settings for your Firewall. Firewalls are really simple. They tell Windows to reject any incoming connection unless it’s in response to a connection you made earlier. It’s like a spam filter which blocks email from anyone who isn’t in your address book. Any programmer can write this type of basic firewall. The trick to firewalls are the exceptions—how do you configure the firewall to let in connections you haven’t previously established. This is similar to our analogy of a spam filter: how do you program the spam filter to let in email from people outside your address book without also letting in spam? Configuring exceptions to your firewall can be easy or hard. Better programs make it easy; cheap or free programs usually make it hard or nearly impossible, so the question you need to ask yourself becomes: do I need firewall exceptions? The best firewall program was always Zone Alarm but now it is an awesome security suite as well. Most people don’t need exceptions. If you don’t need exceptions, then I highly recommend that you go with a free firewall, such as the firewall built directly into the latest versions of Windows. If you do need exceptions, look for a firewall product (perhaps bundled with a security suite) that makes exceptions easy to configure. I own a windows PC and as I am a blogger most of my day is spent online and while working online a firewall is a must. Firewall is really a great network security system that controls the incoming and outgoing network traffic by analyzing the data packets and determining whether they should be allowed through or not, based on a rule set. Firewall technology emerged in the late 1980s when the Internet was a fairly new technology in terms of its global use and connectivity. Thanks for sharing this wonderful post. Great article Mitz. I always need to play with its settings. Though it helps in protecting my computer from unauthorized access, it also blocks some of my useful applications from run. I came to know about proxy server from your post only, now I know how my company restrict us from accessing some sites.